Print, scan and share with cloud connectivity. The world’s smartest colour multifunction printer1 is designed to be the central component of your digital document management system, enabling single sign-on access to multiple cloud storage services through an intuitive touch interface. - Packed with performance, the Dell C2665dnf offers 30 features in one unique device . 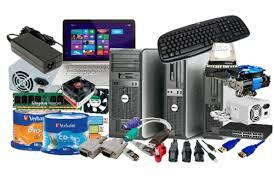 You can scan directly to multiple destinations, including PCs, USB drives, email, network folders or FTP. And you can send, search and share content in the cloud directly from the printer. - Sign in to the Dell Document Hub directly from your printer and gain single-sign-on cloud access to Box® , Dropbox®TM Microsoft® SkyDrive® and Microsoft® SharePoint® Online. - Search for files simultaneously across multiple cloud storage services, directly from your printer. - Scan and convert hard copies to editable Microsoft Office documents , searchable PDFs and other file formats using cloud Optical Character Recognition (OCR) – direct from your printer. - Print Microsoft Office and Google documents stored in the cloud, directly from your printer. With a large capacitive touch screen that’s easy to read and navigate, you can quickly access your personalized printer profile and commonly used functions on your printer. - A customizable 4.3' colour capacitive touch screenallows you to simply swipe the control panel — just like a smartphone — to navigate menus. Personalize the touch screen with your user account to access frequently used settings easily. - Preview up to ten 3-page files directly from your touch screen before printing. - Scan large documents effortlessly thanks to a 50-page Duplex Automatic Document Feeder (DADF) that scans both sides of each page automatically. - Reduce paper consumption by up to 50 percentwith automatic two-sided printing. The Dell Colour Multifunction Printer – C2665dnf also supports printing on recycled, renewable content and chlorine-free paper. - Convert hardcopies into password protected PDFs with secure PDF encryption. - Control access to confidential documents withSecure Print , which holds jobs in the queue until released at the control panel with a four-digit PIN. Discover simple ways to connect your compatible phone or tablet to your printer. Or, get access to personal settings on one printer from another printer. 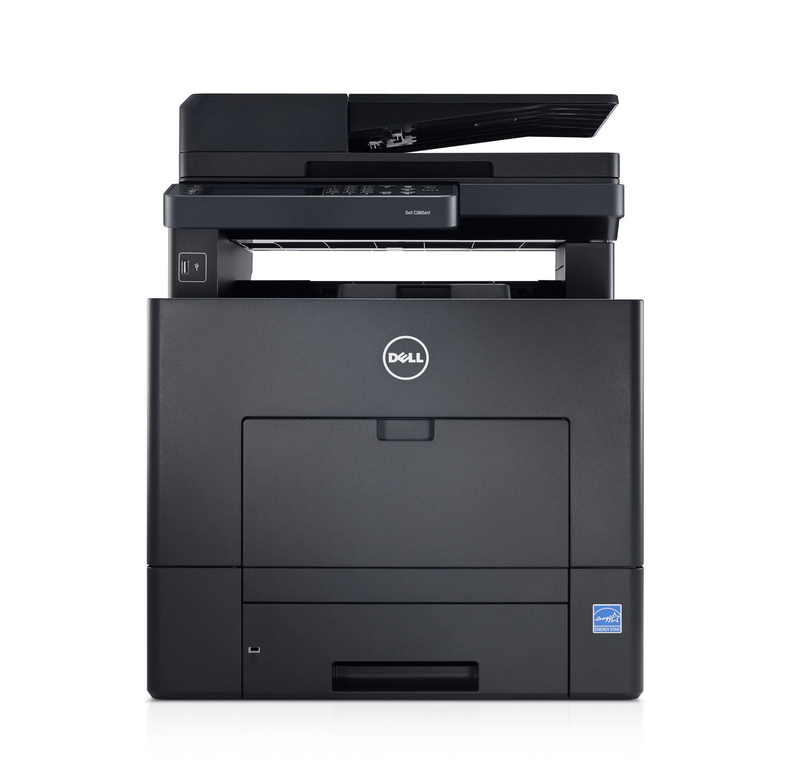 - Convenient 'tap and print' functionality enables fast and easy connections between your printer and Windows 8.1 Near Field Communication (NFC) devices. Simply tap your NFC-enabled device on the printer and a connection is made. - Access personal settings on one C2665dnf from another C2665dnf at any location through Dell Document Hub account log in. - Print directly from mobile devices with Dell Mobile Print app (for Android OS), AirPrint (for iOS) and Google Cloud Print. Collaborate and share documents easily with a smart, feature-rich printer offering single sign-on access to multiple cloud storage services with DellTM Document Hub. - Create searchable files: Scan and convert hard copies to editable Microsoft Office and Google documents, searchable PDFs and other file formats using cloud Optical Character Recognition (OCR). - First in its class with NFC: Make fast, easy connections between your printer and Windows 8.1 devices with the "Tap and Print" feature.